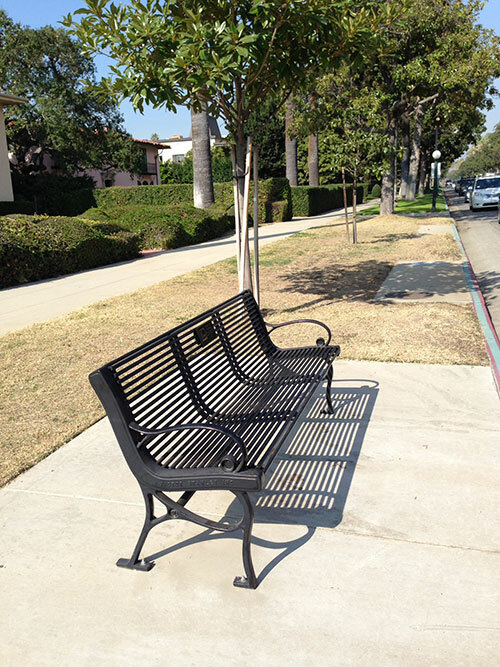 Pasadena Beautiful Foundation has installed five benches in remembrance of it’s founding members at various sites in Pasadena. Three of them provide much needed respite for waiting bus commuters. 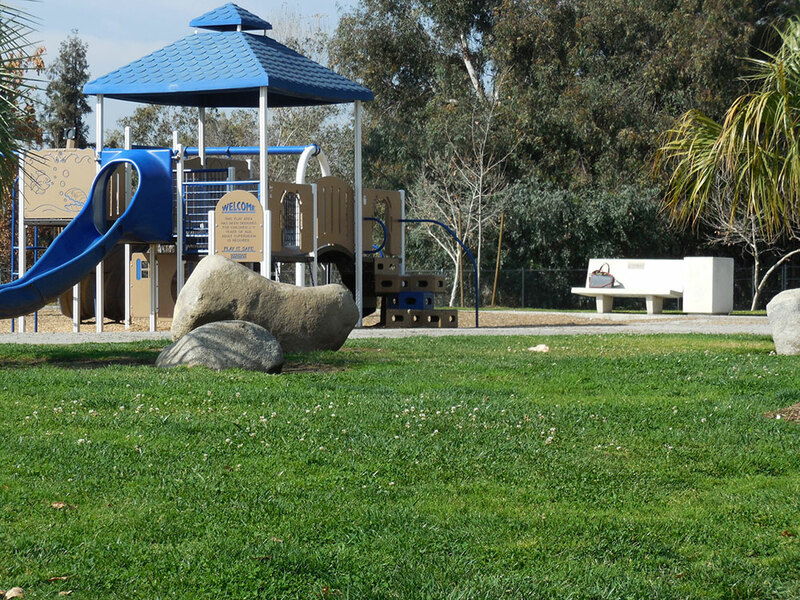 Two are at the Vina Vieja Park in the Off Leash Dog Park area and in front of the playground. 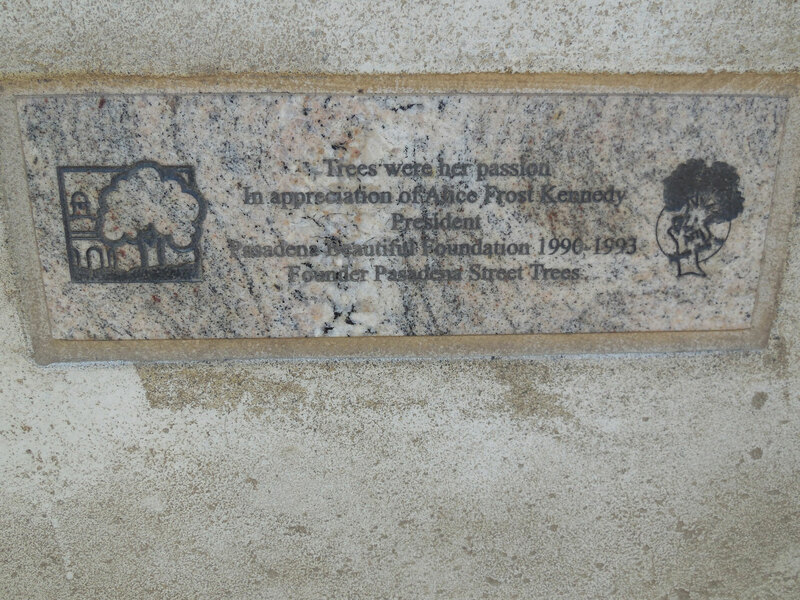 Each bench has a plaque with Pasadena Beautiful Foundation’s name and logo and the name of the person remembered. 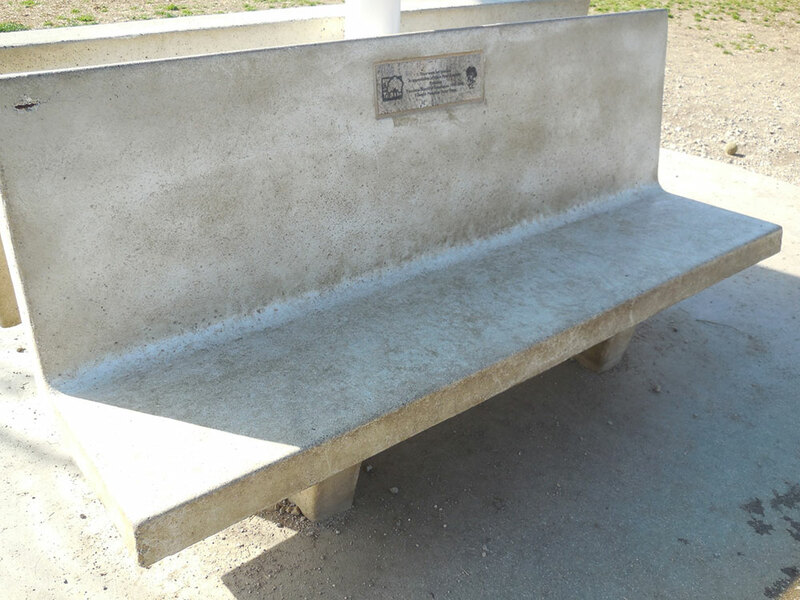 In remembrance of Alice Frost Kennedy at the Alice Off Leash Dog Park. 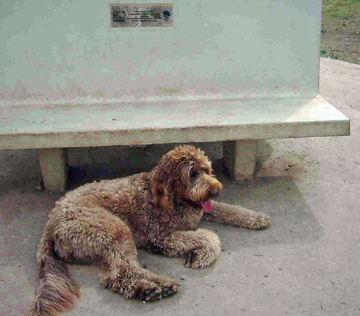 A PBF member’s dog pauses for a rest at Alice Frost Kennedy’s memorial bench at the Off Leash Dog park in Eaton Canyon. 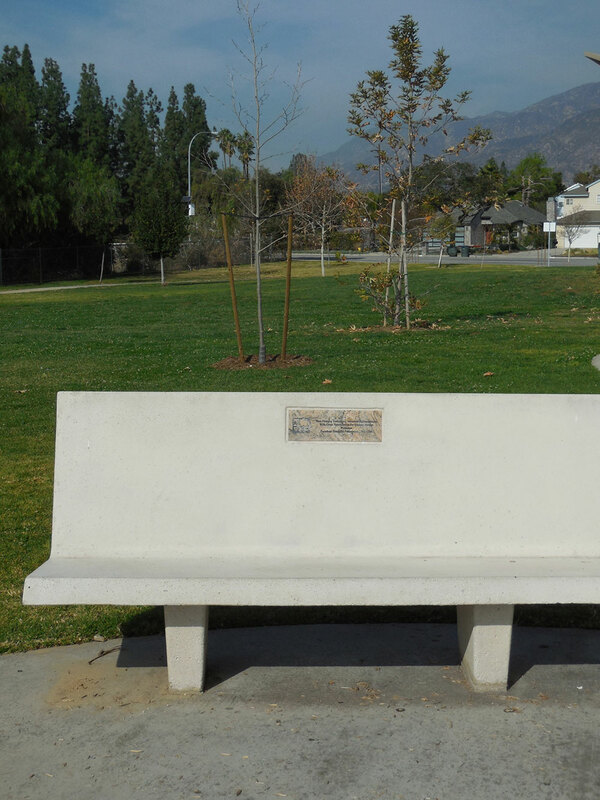 Bench installed at Vina Vieja Park in front of the playground in remembrance of Richard Nevins. 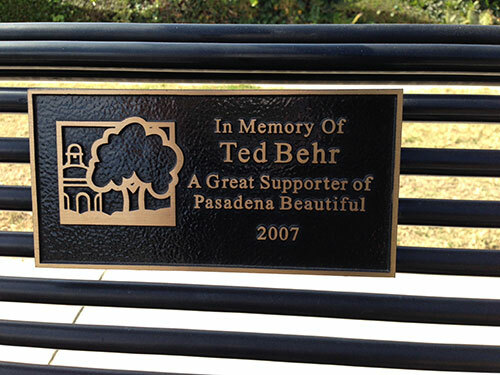 Bench in remembrance of Ted Behr at 575 South Orange Grove Boulevard. 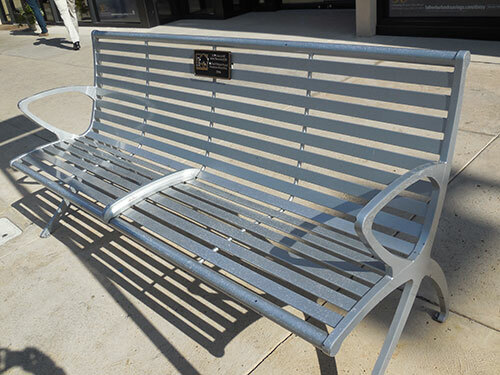 In remembrance of Bob Cheesewright at 170 South Lake Avenue installed 2008. 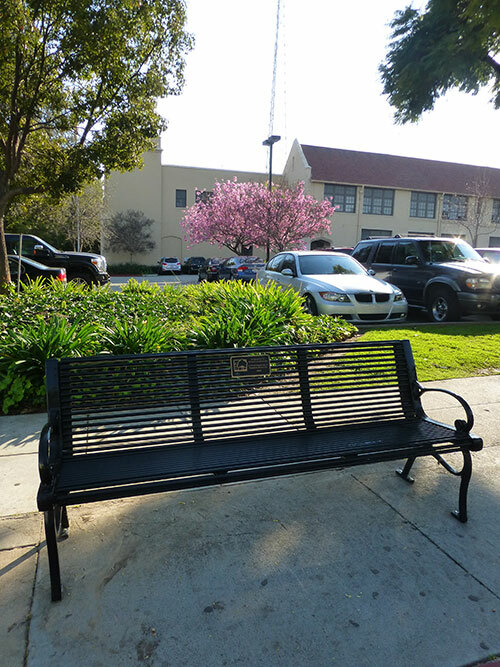 A bench installed on Del Mar Avenue and Hudson by the Pasadena Unified School District in remembrance of Alice Frost Kennedy. 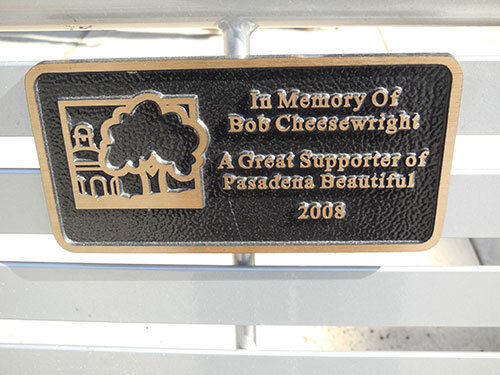 Each bench has a plaque with the Pasadena Beautiful name and logo and the name of the person remembered.